It’s the time of the year again where boisterous fun and traditional rituals go hand-in-hand. Whilst tourists imagine Bangkok to be a time for a huge celebration with wet and wild frolics, there is so much more to the festivities than spoken about. Songkran festival, which marks the start of the Thai New Year, was traditionally celebrated by visiting local temples, performing merit-making offerings to monks, and sprinkling water over the hands of elders in the family as a sign of respect. While the ways of celebrating may have evolved with time, the traditional Buddhist rituals are here to stay. Thailand’s newest addition to must-see landmarks, the enchanted ICONSIAM will take us back in time to the Golden Thai era with a five-day grand celebration taking over the banks of the Chao Phraya River. 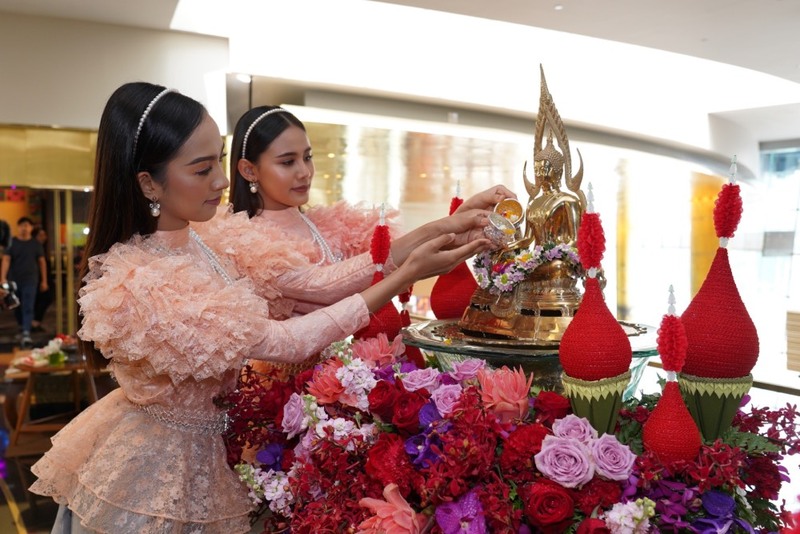 “THE ICONIC SONGKRAN FESTIVAL 2019 AT ICONSIAM” will showcase highlights of the Thai eras with unlimited traditional activities and friendly water splashing fights at the River Park from April 11-15, 2019. Highlights of this magnificent celebration include a Buddha Bathing Ceremony, traditional Thai dance performances, a beauty pageant contest, Thai traditional carving and painting activities, water fight with the cuteboys, along with varieties of local and regional cuisines. Experience the spirit of Thai Buddhist rituals by pouring scented water on Lord Buddha images to receive new year blessings. Visitors will have the privilege to perform prayers to the highly worshipped Buddha from the following Thai historical period: Shinnasri Buddha from the Sukhothai period, Nimit Vichitmarn Molee Sri Sanpetch Borom Tri Lok Nart Buddha representing the Ayudhya period, Buddham Viseth Sasada Buddha from Thonburi Dynasty and Siam Dheva Thirat Buddha of the Rattanakosin period. Feast your eyes on the graceful traditional performances like Silk Reeling Dance, Viva Songkran Dance, Klong-Sa-Bad-Chai (traditional drumming), and Vichanee Serng Tung Wai (traditional North-Eastern dance). 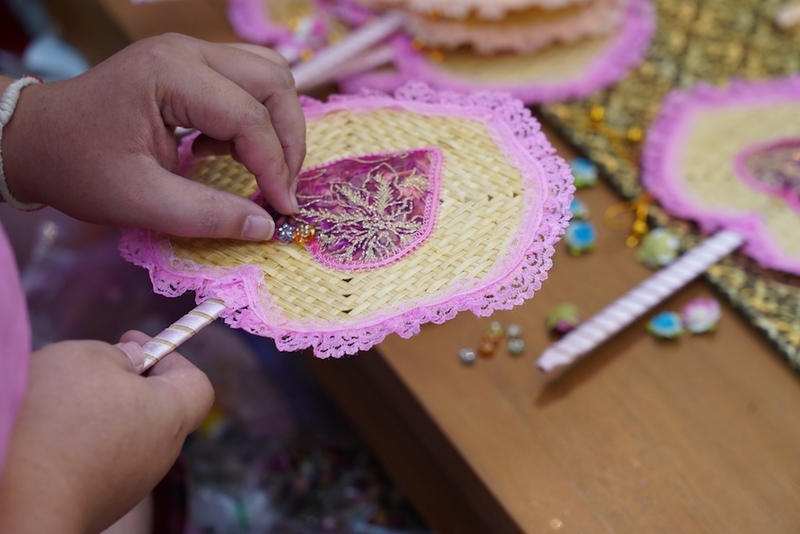 Or, get your creativity flowing and experience the traditional Thai way of arts and crafts with the Thai Heritage workshops. Even more so, discover the secret of producing scented water and scented fans, enjoy Thai-pattern fabric painting, fruit and vegetable carving, and grab the opportunity to pose for a snap in the beautiful Thai traditional costume. Popular Thai celebrities will be walking down the aisle as Songkran Goddesses (also known as Tungsa Dhevi) in the exquisite parade. Ann Thongprasom, Natapohn ‘Taew’ Taemeeruk, Woranuch ‘Nune’ Bhirombhakdi, and Chalida ‘Mint’ Vijitvongthong will light up the ICONSIAM Songkran Niramit Procession. They will be dressed in a custom-designed traditional costume that will ideally represent each glorious period – the Sukhothai, Ayuthaya, Thonburi, and Rattanakosin period. Also, get ready for some water splashing fights with Cuteboy Thailand at the River Park. Nont Tanont and Da Endorphine will be tuning in with a concert to create the perfect ambiance. 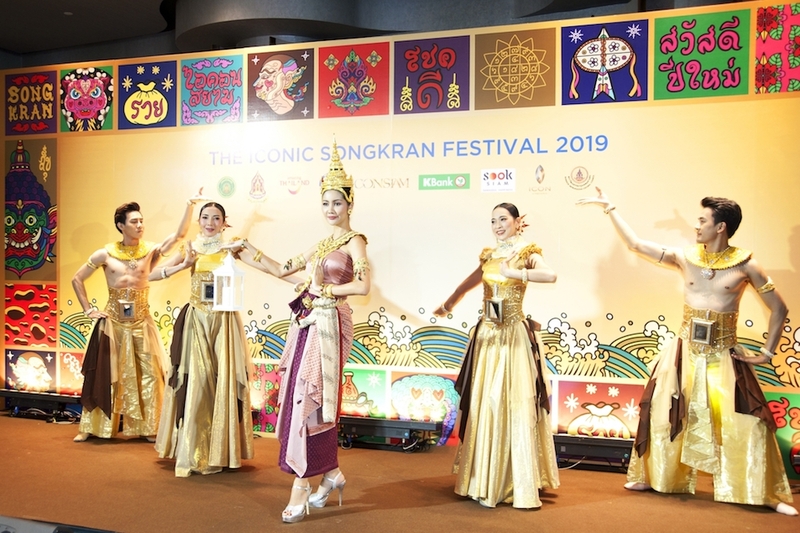 SOOKSIAM @ ICONSIAM and Thai Beverage PLC will co-host “SOOKSIAM YooYenPenSook @ ICONSIAM” which will bring a myriad of games and activities under the theme ‘Sook’ to cherish the Thai traditional way of happiness. ‘Sook Som Wang’ involves purifying Buddha images from different regions of the country whereas, ‘Sook Sueb Sarn and Sook Sampan’ will allow visitors to pour water on Ban Bang Khae (elder’s hands) to receive their blessings. Embrace the festivity spirit at ‘Sook Sanook’ with sand pagoda building, egg pond game, or simply riding the ferris wheel. Looking to savour some Thai cuisines? 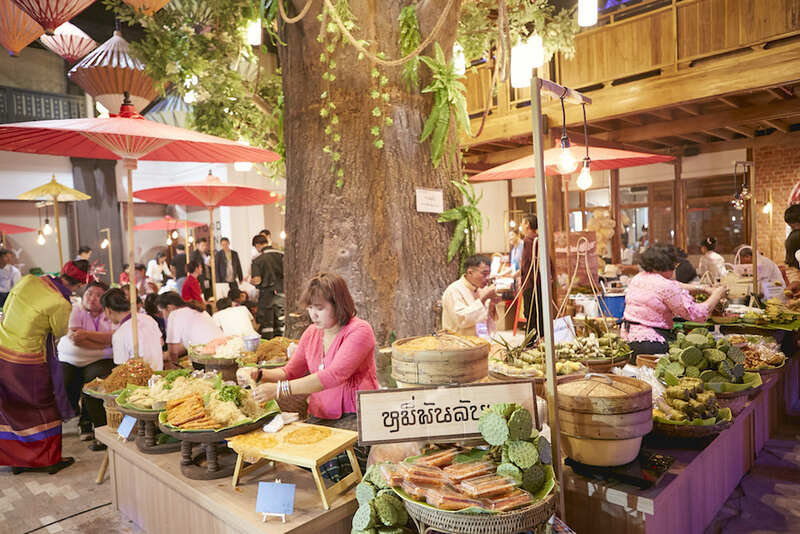 ‘Sook Saeb’ will be serving arrays of delicious regional Thai cuisines. “Sook Sang Sun” will offer Thai handicraft products. Lastly, to all the lovely ladies out there, ‘Sook Saneh’ will present a platform for a beauty pageant contest in Sook Siam City. Don’t miss to join THE ICONIC SONGKRAN FESTIVAL 2019 AT ICONSIAM during April 11-15, 2019, at the River Park zone, ICONSIAM. For more information, please contact 02 495 7080 or visit www.iconsiam.com.